… Informal Inquiries (Revisited): Walt Whitman — “that dirty old man”. … Informal Inquiries (Revisited): Blogging note — Silence. It's a Trans-Briton! Narrating the Royal Wedding! On the TV screen … was a commentator named Thomas J. Mace-Archer-Mills, Esq. He has built a media persona over recent years as one of Britain’s authorities on the royalty, and he appeared in dozens of interviews leading up to the wedding to explain and defend the monarchy…. There are Anglophiles, royal-family devotees and people who obsess over BBC dramas. Then there is 38-year-old Mr. Mace-Archer-Mills, who started life as Thomas “Tommy” Muscatello, an Italian-American from upstate New York. He loved England as a boy, he said, and had an innate feeling for British pronunciation as a youth, picking up his accent in a variety of ways, primarily from visiting the U.K.
WSJ LINK - subscription may be needed. 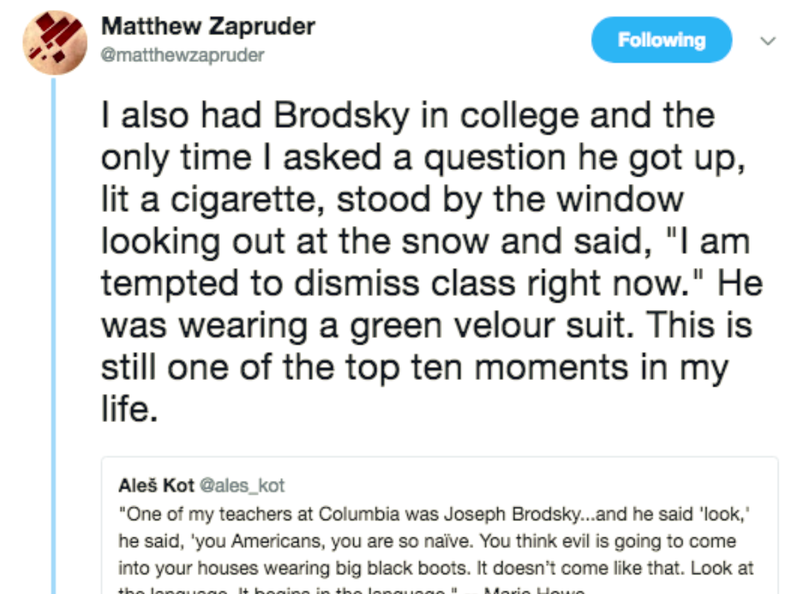 … “Bro – he lives!” Joseph Brodsky on the morality of uselessness, and the need to “switch off” | The Book Haven. For Taleb the capacity to explain why something unforeseen happened after the fact is useless in comparison to being able to assess present risk, and the only people who can do that competently are those who have skin in the game — those who have a stake in the outcome and who willingly take on risk. They understand the game because they are involved in it. … BOOK REVIEW: 'Cold War Navy Seal' by James M. Hawes and Mary Ann Koenig - Washington Times. The truth is simple. If it was complicated, everyone would understand it. I know Philly had tunnels. 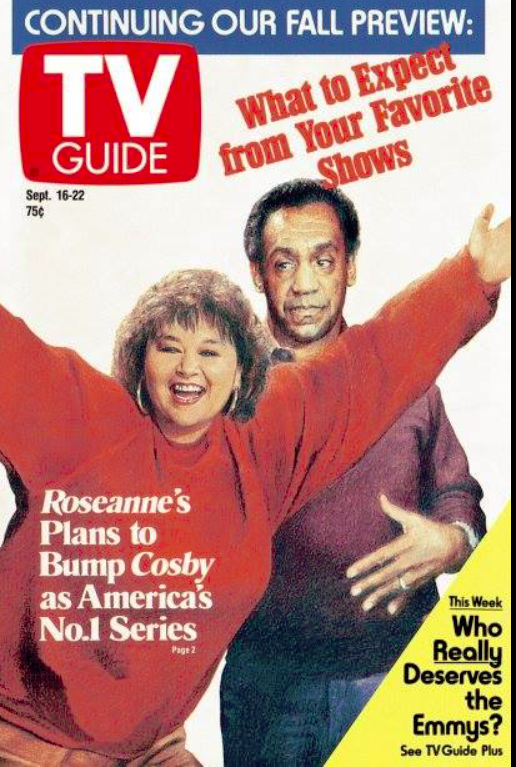 Don't know if it still does. Probably not. … Episode 271 – Christopher Brown – The Virtual Memories Show. … Stephen King's 'The Outsider': A thrill ride from an American classic writer. … Al Roker's 'Ruthless Tide': The irresponsible Masters of the Universe who caused the Johnstown flood. … 'I Say Again': Stories, recollections, poetry and wisdom by a local judge. I have one encounter in my life with devout swingers. They were among the strangest people I have ever met. Oddly, they seemed strangely square. … Informal Inquiries (Revisited): Thoreau on the river ... and other adventures. … Informal Inquiries (Revisited): Emily Dickinson — “All but Death, can be Adjusted—“. … For [Aikman], the word “strange” seems to have been heavy with meaning. In one of the stories collected here, Aickman points out that strangeness “only happens when you’re not looking.” Perhaps it is something like Freud’s “uncanny” — that terrifying moment when everyday life suffers a sea change. Aickman was fascinated by incidents that rip apart the “foggy tissue of things seemingly under control,” when we glimpse “the spirit behind the appearance, the void behind the face of order.” This “foggy tissue” of rationality holds together because nothing domesticates like the conscious mind. 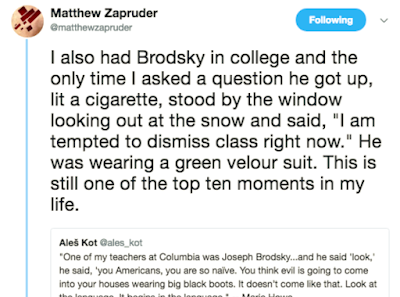 Every decade produces its peculiar combination of the incredible, the grotesque, and the monstrous; and each new generation grows up taking those things for granted. To recover the strange means to scrape away the familiar, and it is no simple task to see again, with fresh eyes, what we witness every day. … Informal Inquiries (Revisited): Crimes and Punishments In Philadelphia. Informal Inquiries (Revisited): King Arthur — fact or fiction? The staffer who wrote this form letter can hardly be faulted for following the federal government's style manual, even if you and I might not like the rules it contains. Nor did he do anything wrong by referring to the Justice Department's proposed ban on bump stocks as a "rule," a term that seems to have puzzled Mason. It certainly illustrates that if you're going to be pedantic, make sure you know what you're talking about. Thanks for contacting Apple Support. My name is Courtney. How can I help you? If your AirPods are connected to your iOS device, you can also go to Settings > General > About > AirPods for the serial number. yay 3rd times a charm! How wonderful. Thats really amazing. I think what you are doing is awesome sauce. The study [of Miss USA winners] found more of the recent winners were muscular and toned rather than thin, which showed that attitudes toward physical beauty have shifted. … Informal Inquiries (Revisited): 28 May 1754 — George Washington starts a world war. … 2000 lbs., by Brian Turner. … Toys in a Field, by Yusef Komunyakaa. … Man Booker International Prize: a big night for Olga Tokarczuk, Jennifer Croft, and one phenomenal publisher, Jacques Testard | The Book Haven. I saw a lot of this driving around the Midwest years ago. It brings back memories. … Anecdotal Evidence: 'A Tangential Line Lifting,Straight as a Contrail'. … Informal Inquiries (Revisited): Hammett’s Birthday. The God of the Gospel is no bully. He will not force his way in. He knocks patiently at the door. As in the case of Dr. Thomas More, the Lord often makes backdoor entrances, through redemptive defeats rather than pyrrhic victories. “Despair,” the wizard Gandalf declares in Tolkien’s The Lord of the Rings, “is only for those who see the end beyond all doubt.” So does Walker Percy summon his present-day readers to a deeply ironic but no less bracing hope, by way of his funny, frighteningly prophetic novel of 1971—to make both life and love in the ruins. Alistair Fowler notes that “by the time I knew him, he usually remembered to avoid bigotry. His contentiousness was joy in debate; he never bullied me.” So Lewis went from pugnacity to magnanimity by way of corrigibility. He made the painful discovery that he had flaws and learned both how to concede when he made mistakes and how to correct himself publicly. …Informal Inquiries: This blog, like Jacob Marley, is deader than a door nail. We are about to take off for a cookout in Fort Washington State Park with my stepdaughter Jennifer, her family, and friends. So no more blogging today. … 2018 Memorial Day Bonus Mini-Episode – The Virtual Memories Show. “Radical Chic” put a serious dent in the radical movement that was then sweeping America and that today chiefly finds a home in the much shabbier surroundings of university humanities and social-science departments. Many thought the essay the work of a right-winger, but they were wrong. The essay was the work of a man who enjoyed the comedy of rich contradictions played out by people prepared to desert their common sense in the hope of boosting their status. … Zealotry of Guerin: The Morning after the Deluge (Joseph Turner), Sonnet #406. 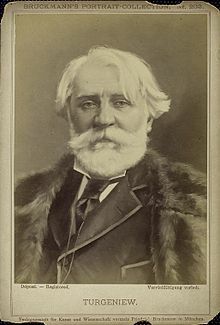 After Knausgaard's recent essay in the New York Times -- a piece focused on Russian literature and society -- I was motivated to read one of authors to whom he repeatedly returns: Ivan Turgenev. Given my focus of late on short stories, I purchased First Loves, a collection focused -- as the title suggests -- on early love, on stories in which love overwhelms or awakens a younger character. I should say at the start that these stories are excellent: line by line, even in translation, Turgenev emerges as a master. His prose are clean, clear, and precise. For me, his writing is defined by an organic quality. There's something here -- something about Turgenev's rendering of Russia -- that feels like the soil. I mean this of course as a compliment: with the exception of Graham Swift's Waterland, I can't remember a book that was so biotic, that was so clearly defined by its earthly qualities. As critics have argued, Turgenev really does use the short story as the basis for a wider exploration: of class, of politics, of economics. At the root of all these stories is a subtle -- and sometimes no so subtle -- examination of Russian society before the collapse of serfdom. Even when his stories don't formally touch on this topic, they can't help but highlight the chasm -- for that's what it was -- between top and bottom, rich and poor. That, though, is not the reason I was so taken with Turgenev's collection. As with Swift, this was instead a function of Turgenev's successful rendering of emotion. Time and again, Turgenev wields a knowing pen, casting youthful love as an awakening, as an experience distinct from its later manifestations. When Turgenev's characters are frustrated, it's as if their entire world collapses. And it's little wonder: for this is how love feels to those involved, to those who have enjoyed it for the first time -- and have then lost it. I'm finishing the final story in Turgenev's collection now -- and I can already tell: the master is at it again. This story, like the others in First Loves, is defined by its lucidity -- both of thought and of prose. I can't recommend the collection enough. … Informal Inquiries: Today in 1977 — Shakespeare returns to China. … Prize-winning children's author Richard Peck dies at 84. … Informal Inquiries: Here’s Waldo on his birthday. … Landmark | About Last Night. … First Known When Lost: A Life. … Defensive Knife Use: Teen stabs would-be abductor with her pocketknife - The Truth About Knives. I helped raise three. That’s how I would have liked them to deal with that sort of thing. I have to be out and about most of today. Will resume blogging whenever I can. Yet again the art world loudly proclaims it's hypocrisy. The value of this painting (and a vast quantity of other 'art') has nothing to due with it's inherent beauty but only with the identity of the creator. Happily, this is a game only for rich fools and those clever enough to fleece them. … Wynton Marsalis: Rap is More Damaging Than Confederate Statues.
. . . innovations always have some ancestor or ancestors, however indirect. (Or do they? Correct me if you have in mind a pure original.) And I’ve been musing on some of Tom Wolfe’s literary forebears. With one exception, the ones on my mind all come from fiction — not surprising, considering that Wolfe championed journalism as a literary form. The author gives Wolfe some credit for honesty, but the weakness he sees in Wolfe's writing is that "he tended to see what he wanted to see." But I suspect the author himself tends to do the same. Meaning, after all, is intentional. We all tend to find what we are looking for. The truth you what from a writer is the truth as he sees it. You can take it from there. One for whom the pebble has value must be surrounded by treasures wherever he goes. with Taylor working in his large group which at times included Jimmy Lyons , Hannibal, David S.
expand his artistic vision without heed to commercialism or the trends of the times. Gary Thomas, Terri Lynn Carrington, and James Wideman....). Her first book “Behind These Eyes /Optical Poems” was published in Philadelphia in 2007.
lives with her husband, musician Bobby Zankel in University City. Verse Daily, Exquisite Corpse, The Best American Poetry, among others. Philadelphia area, featuring Patti Smith, Pink, Nas and Busta Rhymes, among others. home in West Philadelphia. He has been Mad Poet-in-Residence since 2008. He is Poetry Consultant for the Whitman at 200: Art And Democracy project. Since 1997, as both poet and blues saxophone player, he has been visiting the Mississippi Delta city of Clarksdale. His most recent collection, If the Delta Was the Sea, explores the city’s blues music, history, and diversity of cultures. National Book Award winner Ha Jin calls it “a rich and spacious book” and “a genuine delight.” Poet Martín Espada notes the work’s “irony, humor, and honest insight. . . . [Lourie] fully understands the burdens and blessings of history, and knows that there is much to celebrate in the spirit of the survivors.” In an accompanying CD, he transforms the spoken word into conversations between the poet, his sax, and a blues band . A veteran of small press publishing, he is a co-founder and still co-editor of Hanging Loose Press—with over 200 titles to its credit, mostly individual collections of poems—and Hanging Loose magazine, now celebrating, with issue #109, fifty-one years of continuous publication. … Philip Roth, the Incomparable American Novelist, Has Died at Eighty-Five | The New Yorker. … Philip Roth, Towering Novelist Who Explored Lust, Jewish Life and America, Dies at 85. …Informal Inquiries: Blogging Note — “sick bay” duty. … Nigeness: Buried Twice: Ronald Firbank. … When Senator John F. Kennedy Tried to Get a Young Reporter Named Tom Wolfe Fired. … Instapundit — BESTSELLING AUTHOR ERIC METAXAS: The Media Is ‘In Love With Being Unable to Understand’ Trump. About the play: THE $18-BILLION PRIZE, a New Play Based On Shocking True Story, Comes to San Francisco's Phoenix Theatre. I'm always drawn to stories that the establishment and mainstream media would rather ignore," says McAleer, a New York Times best-selling author and journalist who is best known for the book and movie Gosnell and the stage play Ferguson. "This new play exposes how environmentalists carried out the world's biggest fraud, how the media helped promote that fraud - and how they almost got away with it. Members of the 'Hollywood Elite' - Sting, Angelina Jolie, Brad Pitt and Mia Farrow - all supported this bogus lawsuit before it was exposed. One of the takeaways is the seamy side of celebrity endorsement of charitable causes." … What is magic? – Mark Vernon. … A poetry prize for Dana Gioia, and a reading in an “otherworldly setting” | The Book Haven. … Episode 270 – Ilana C. Myer – The Virtual Memories Show. … Informal Inquiries: A. C. Doyle born in 1859 — Historical Tidbit #5. But think of automobile ads, just for one indicator. What is meant, say, by “Chevrolet, an American revolution”? Was it General Motors that impelled Washington across the Delaware in that cold, crucial winter? Or “Love– it’s what makes a Subaru a Subaru.” Did Dante drive an Outback? Or, astoundingly annoying, “Guts. Glory. Ram,” as though to own a pickup truck were an exaltation. There are myriad other examples in other domains, of course, but you see where I’m headed. The historian Arnold Toynbee once said that "I can not think of any circumstances in which advertising would not be an evil." When I first encountered this, I thought it a bit of overkill. But now I am not so sure, and I say that knowing full well that I could myself have done quite well in the advertising business. … Informal Inquiries: Review — What the Gospels Meant (2008). The most dangerous condition for a man or a nation is when his intellectual side is more developed than his spiritual. Is that not exactly the condition of the world today? The conclusion of the Chilean summit clarified three characteristics of the Holy Father’s pastoral style. First, Pope Francis is quite ready to fire people at the most senior levels. He has fired three curial prefects, something which simply wasn’t done previously. Cardinal Mauro Piacenza, Cardinal Raymond Burke and Cardinal Gerhard Müller were all dismissed when judged to be obstacles to the Holy Father’s agenda. The Vatican’s auditor general, a key figure in the financial reform program appointed by Pope Francis himself, was fired last summer. A few months before that, the Holy Father even fired someone who was thought to be beyond the Pope’s power to dismiss, the Grand Master of the Knights of Malta. Pope Francis has shifted away from the more traditional ecclesiastical style to a more business style of management. The traditional ecclesial style, especially in Rome, was to wait for people to retire or to move them to a face-saving post.